Everyone goes through challenging times in their life, which might result in considering the option of a payday loan. Some people go through with the loan, while others may fill out an application but never send it through. In either of these cases, your information may be shared with third-party companies. Not all of these businesses are legitimate and respectful of that information – many are out to get your money, no matter what it takes. 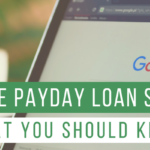 Even if you never went through with applying for that payday loan, there’s no telling who has your information from simply starting the application process at some point. That is why it is essential to understand the common payday loans and how to avoid falling for one. These scammers may have your name, birthday, and even social security number – which makes it seem as if they are legitimate. Because of that, you need to know how to sniff out a scam. Here are our tips. One thing that a legitimate debt collector is not going to do is threaten you with immediate arrest. If you receive a phone call and the representative claims that you are required to pay up right then or risk a visit from the police, don’t get worked up. That is what the company expects. If you are concerned you will be arrested, you might consider paying the debt they claim you owe, even if you do not owe it. Instead, ask questions and try to figure out exactly what is going on and if it sounds realistic. Any debt collector working for a valid agency is going to tell you who they are and the company they are calling on behalf of. If the person calling you will not do this, it is very likely that they are trying to scam you. Even if they do provide a name, that does not mean the situation is legitimate. Do a quick Internet search and see what you can find out about the company. In the case of a scammer, you are likely to find reports from many other people who have dealt with them in the past. When a collection agency representative calls to inquire about a debt, they are required to send out a letter about that debt and the amount within five days. This notice mentions that you have the right to dispute the debt within 30 days of the notice or it will be considered valid. When it is a scammer, they are not going to send out that letter. So, if things seem a little shady already, and no message comes, you are likely being targeted for a scam. If you have caller ID, it is a smart idea to hit up a search engine, type in the phone number, and check out the results. If it is a known scammer, you will likely find tales from past victims. 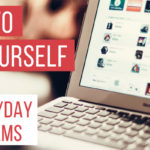 Sometimes there may not be much information, but the rest of our tips should clear your mind, even if this method goes nowhere. 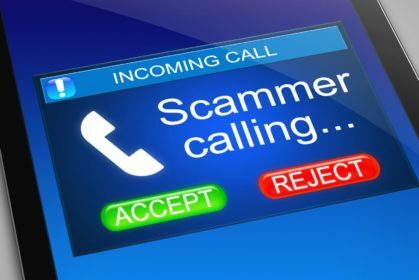 If the person calling you refuses to allow you to mail your payment, that is a huge danger flag that the person is scamming you. In this case, they might claim to offer you a reduced amount if you pay them right away. Now, legitimate collectors may also push you to pay over the phone. However, they will also allow you to mail in payments. If you are not sure, even if it is a twinge of worry, do not pay over the phone. Make a payment by mail if the debt collector is real, don’t hand out your credit card number. You will likely come to regret it. This hinges on the last tip and boils down to not giving out your checking account or credit card information over the phone. You should not agree to a payment agreement without having it in writing. Any legitimate company will have no problem with providing this to you. Scammers, on the other hand, are looking to get access to your money fast and will try to talk you into paying right that second. Don’t fall for it. This varies by state, but in some states the debt collection agency must be registered to engage in debt collection. It is simple to check a search engine and research whether the company is registered in your state. If you are in a state that requires registration, go further. You can search for the state’s Office of Financial Regulation and determine if the collection agency you spoke with is registered in your state and whether that registration is active or is expired. If it is the latter, this collection agency has no right to bother you. Have you received a formal complaint or summons? Some payday loan scammers write up fake legal documents to convince victims to pay. In some cases, it may be easy to conclude that the paperwork is false, but in other situations, it may be more difficult. If you are not sure, the best thing you can do is consult with a consumer attorney in your area. They can determine whether the documents are legit. If they are not, you certainly have no reason to pay this fake debt. In fact, it is possible you may be entitled to damages under the Fair Debt Collection Practices Act. 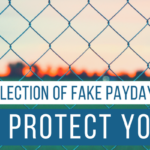 Keep yourself and your money safe by being wary when you get a phone call from a purported payday loan collection agent. If you are not sure whether you owe the money being asked of you, do a little research. It is also an excellent idea to talk with a knowledgeable attorney who can help you determine what the truth is and what options you have. If you have further questions and concerns, contact us at RealPDLHelp.com. 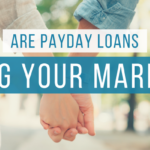 Are Payday Loans Ruining Your Marriage?